AES 256-Bit Hardware encryption coupled with USB 3.0 technology give you an ultra-fast, and ultra-secure, data storage platform in our easy to use lockbox design. Need to secure your data on the go? The SiForce AES265U3 fuses hardware data protection with a speedy USB 3.0 connection. Featuring an easy-to-use keypad design and software free setup, the AES256U3 enables you to access the drive with your own unique pin. Your data is protected 24/7 with AES 256-bit hardware encryption. The AES256U3 seamlessly encrypts all data on the drive in real-time, keeping your data safe even if the hard drive is removed from its enclosure. Using USB 3.0 technology, the SiForce AES256U3 can support USB 1.0 and USB 2.0 with a max USB 3.0 data transfer rate up to 5Gbps. As an example, a full length 9 GB Blu-ray movie could be transferred in under 1 minute! 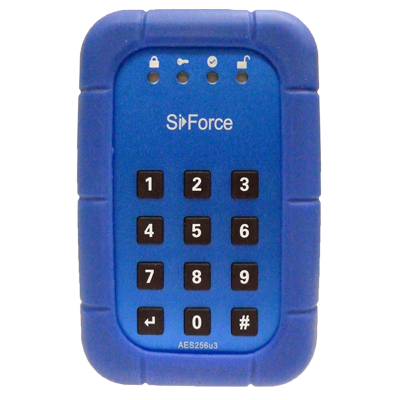 The SiForce Lockbox’s low powered design is perfect for using with notebooks and taking your data on the road. Bus Powered, the Lockbox requires a single connection when used with any USB port. In addition to our slim and rugged design, the Lockbox comes with a silicone protective sleeve to assist in absorbing shocks and bumps from everyday use. 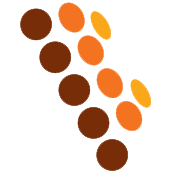 Administrator Password feature – Ideal for IT departments looking to secure their mobile users, by allowing setup of administrator access to the drive before being distributed to their mobile user(s).